Park Shin Hye and Boys Over Flowers actor Kim Hyun Joong will model for Coca-Cola‘s new drink ‘Dynamic Kin’. The two have been signed up for 6-month contract to model for Dynamic Kin. Together, they are set to film the CF by the end of April for a release in May. 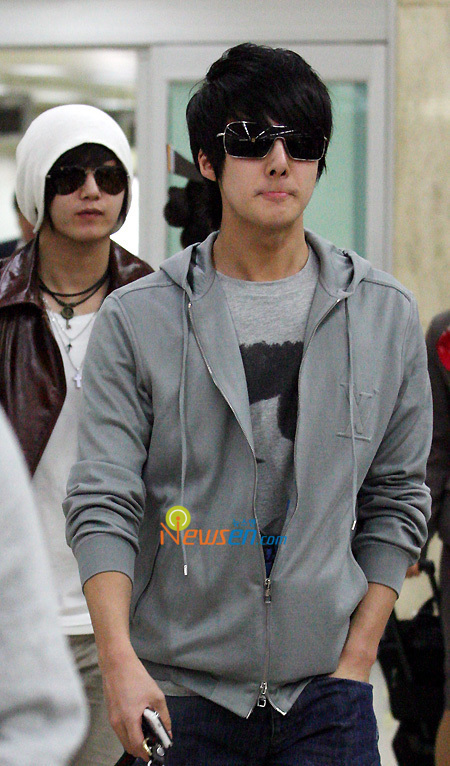 The Boys Over Flower cast have returned back to Korea on April 18th, 2009 after promoting their drama in Japan. 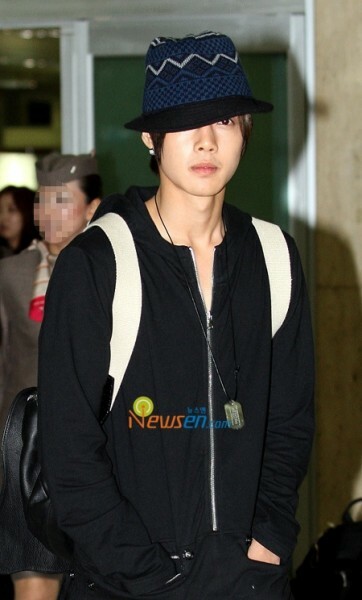 Kim Hyun Joong looks fabulous with his dress. 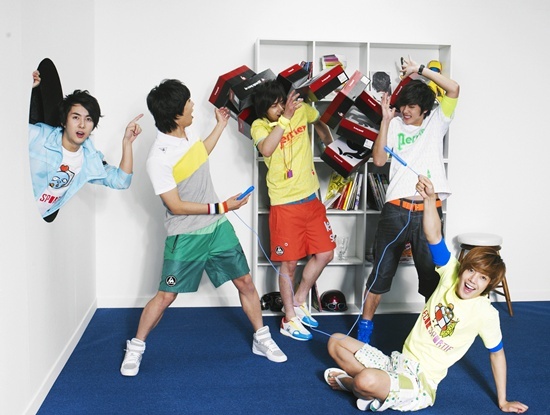 Seoul YWCA calls the ‘Boys over Flowers‘ an absolute failure in terms of character development and story. The group of university students who participated in the assessment pointed out that the drama fails to deliver more than an exhausted story surrounded by violence within school, teenagers indulging in pleasure and the judgment of others based on how they look or what social class they are of. The report also added that the leading female character, Geum Jan Di, failed to convince being passive and dependent, yet cocky at times. The assessment concluded that the series set a bad example for all Korean dramas and can be the perfect example of materialism and the Cinderella complex. Koo Hye Sun, Lee Min Ho, Kim Hyun Joong, Kim Bum, and Kim Joon have safely landed in Japan to promote their hit drama ‘Boys Over Flowers‘ on TBS. 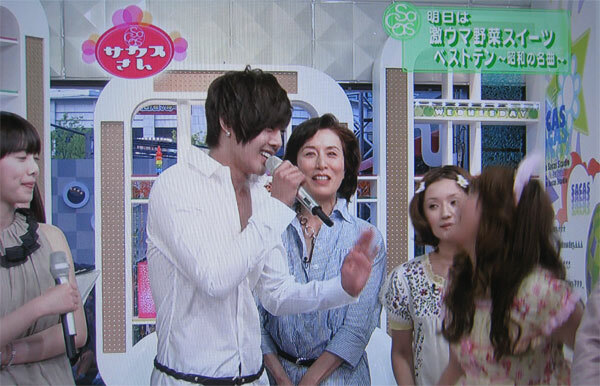 Good thing Kim Hyun Joong, who is good with conversational Japanese, is there to help with the interviews. 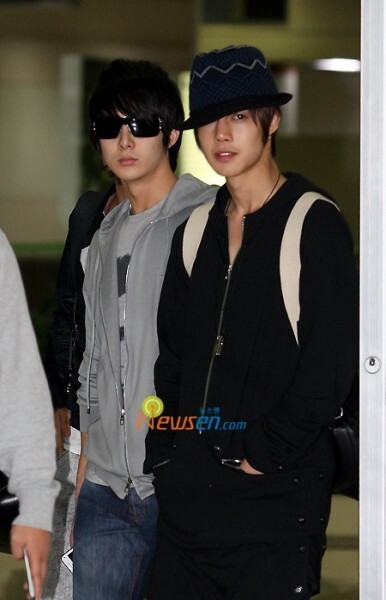 Boys Before Flower‘s Lee Minho, Koo Hye Sun, Kim Hyun Joong, Kim Bum, and Kim Joon were all spotted this morning at Seoul Kimpo Airport. 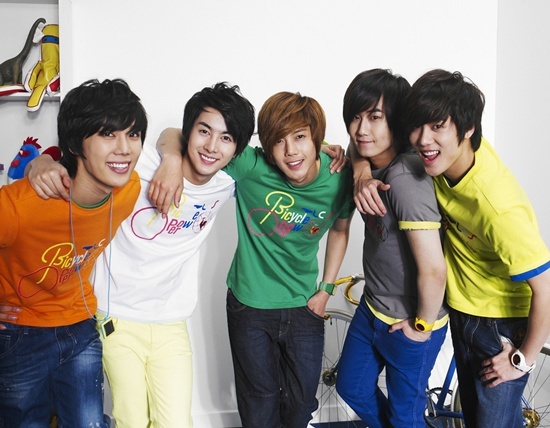 The cast is going to Japan to promote Boys Before Flower which aired in Japan on Mnet on April 12. On April 14 at 10 AM, Boys Before Flower‘s Lee Minho appeared at Seoul Gangnam for the Dunkin’ Donuts free coffee event. This event was organized by NGO to help raise money for less fortunate children.